When was the last time you were treated like royalty? Your staff doting over your every whim, making you the center of attention? Wouldn’t you like to feel that again? At Empress Luxury Yacht Cruises, your friends, coworkers, and family will become your royal retinue, treated with the care and respect due their station. Get ready to wield your scepter and dawn your crown. You and your retinue are next in line to brave the winds and rule the seas… or at least San Francisco Bay. No honking traffic. No stop-and-go congestion. Only the breathtaking view. Ten million fireflies painting every sharp corner of the San Francisco skyline with fine strands of luminous silk. It’s one of the most beautiful cities in the world, and nowhere is that more self-evident than from the water. Look upon your kingdom of dancing lights, as you set sail from Pier 39, heading out past Alcatraz and Angel Island, and under the Golden Gate Bridge. 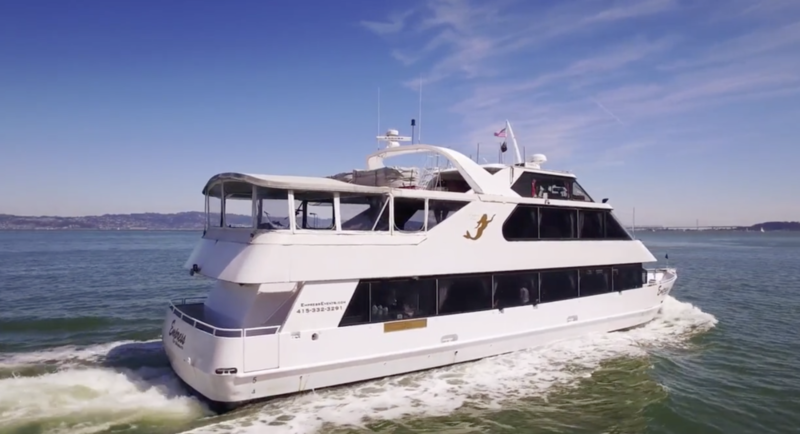 See the singular most spectacular view in the Bay Area, all from your throne upon the waves. Your guests will only be visiting for a short time. What kind of impression do you want to make? Forget about those ferry rides that other charters offer. You’re royalty. You’re riding in style. You can’t have a proper outing without your royal attendants. From hundreds of applicants, each is chosen with special care by your Captain, Gerry Robertson. Then they’re put through their paces, drilled on proper etiquette and procedures. The result? An ever-vigilant team, fulfilling your every wish, often before you realize you had it. 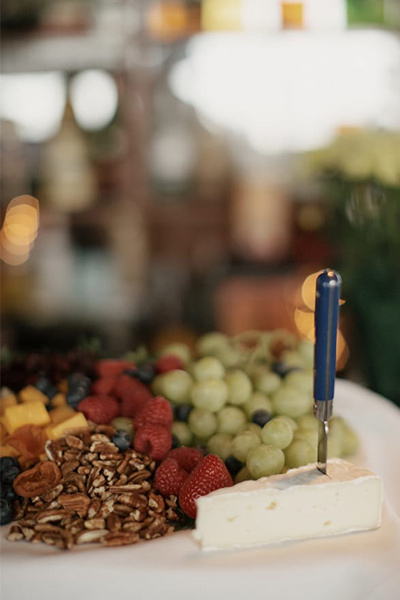 Your every request is special at Empress Events. Unusual foods, top-shelf liquors, eccentric instructions, Empress will make them happen. Whether you’re hosting a wedding, corporate event, private party, or some other event, you want something special. It may be chocolate croissants flown in from Paris. It could be the father-of-the-bride scuba diving in from Oakland. Whatever your unique requirements, you have but to ask. The team here at Empress Events is at your disposal.